Terrence Cody, who until recently played football for the Baltimore Ravens, was indicted Monday by a grand jury for 15 counts, including animal cruelty. 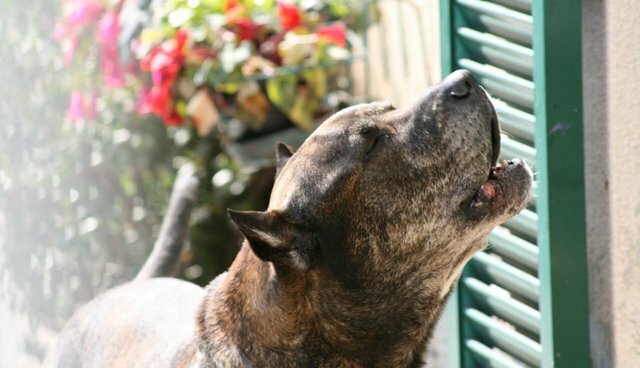 • Two counts of aggravated animal cruelty involving a dog described as a Presa Canario Mastiff. Those are both felonies and carry a maximum incarceration of three years. • Five counts of animal abuse or neglect involving the same dog. • One count of illegal possession of an alligator. • Five counts of animal abuse or neglect involving the alligator. Cody turned himself in when a warrant was issued, the Baltimore Sun reported. The dog reportedly died last month after Cody brought him to a veterinarian for treatment, which triggered the investigation. It's unclear why he had an alligator or what he was doing to it. There are no suspicions the football player was involved in dogfighting, according to Baltimore County state attorney John Cox. Cody's agent disputed the charges, and in a previous statement said the dog died of worms. If that's true, a failure to protect the dog against heartworm could have been a contributing factor in his death. The American Heartworm Society notes that infections can be fatal, and the organization recommends dogs take preventative medication each month as well as an annual veterinary test.